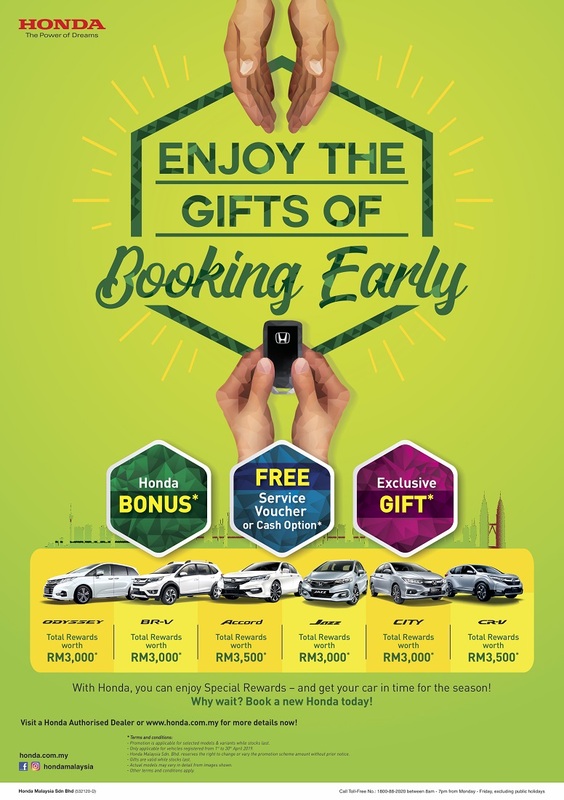 Honda Malaysia is running the “Enjoy the Gifts of Booking Early” campaign all of the month of April 2019, offering special rewards such as Honda Bonus*, Free Service Voucher or Cash options* worth up to RM3,500, and an Exclusive Gift* as added incentives for buying a Honda vehicle. 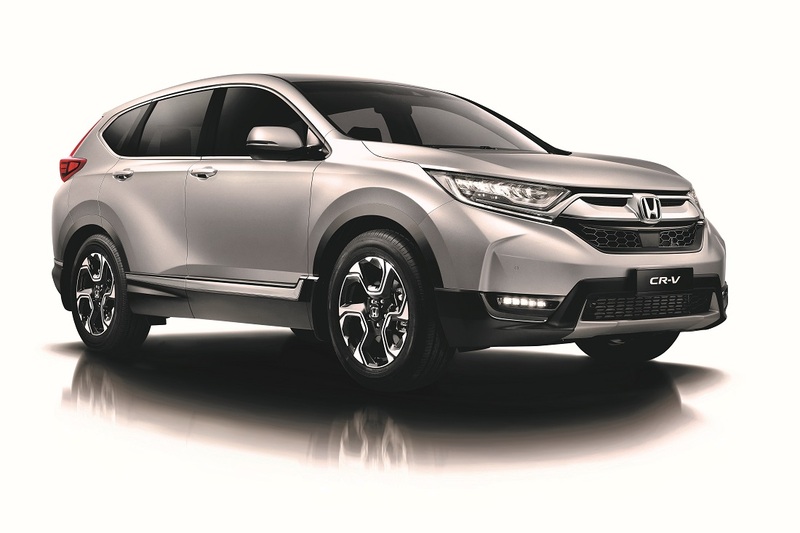 The rebates are applicable to the Jazz, Jazz Hybrid, City, City Hybrid, BR-V, Accord, CR-V and Odyssey models registered between 1 April – 30 April 2019. This campaign is one of many efforts by Honda Malaysia to thank Malaysians for putting their trust in the brand and making it the No. 1 Non-National brand for four consecutive years and No. 2 position in overall Total Industry Volume (TIV) for three consecutive years. In January, Honda Malaysia launched the HR-V facelift with a multitude of new features in its V and E variants. Alongside the upgraded HR-V is the RS variant which for the first time comes with the Variable Gear Ratio Steering System (VGR)** for a sportier drive, as well as the HR-V 1.5L Sport Hybrid i-DCD. The hybrid model has a 1.5L DOHC i-VTEC engine with Direct Injection engineered to generate performance equal to that of a 2.0L engine with balanced fuel economy. It is equipped with 7-Speed Dual-Clutch Transmission with High-Power Electric Motor that enables smooth and quick gear-shifting. The new HR-V also comes with standard safety features such as Six Airbags, Emergency Stop Signal (ESS), Vehicle Stability Assist (VSA), Hill Start Assist (HSA) and ISOFix. The popular HR-V however, is not part of this April campaign. 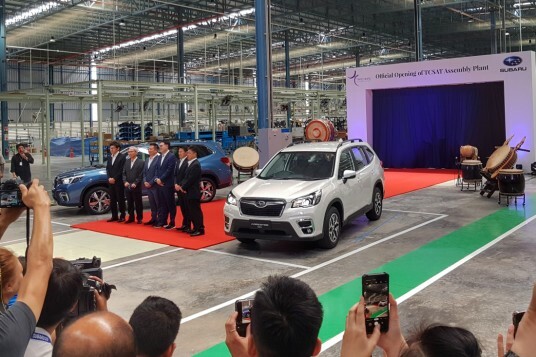 According to Honda Malaysia, it has received close to 11,000 bookings for the HR-V to-date and will ensure that delivery to customers is done within a reasonable period. In the first three months of the year, it has sold 6,000 units, which is 45% of its annual target. The record has enabled this model to maintain its position as the Compact SUV segment leader. Overall, the company has recorded total sales of more than 22,000 vehicles in the first three months. The City was the best-selling model for Honda Malaysia in the first quarter, followed by HR-V and CR-V. As such, Honda Malaysia is optimistic that it will be on track to achieve its 2019 target as it continues to emphasise Honda’s Next Generation Advanced Technology, which comprises the three pillars of technology i.e. Honda SENSING, VTEC Turbocharged and Sport Hybrid i-DCD. 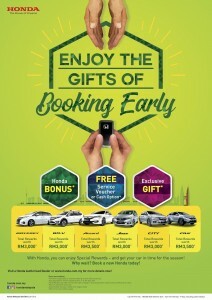 For more information on the “Enjoy the Gifts of Booking Early” campaign or to book a test drive, customers can visit any of the 98 authorised Honda dealerships nationwide or call Honda’s Toll Free number at 1-800-88-2020 or visit www.honda.com.my for more information.